Lersi Techo has focused on the fact that the modern age has two, not one, priority with amulets. Namely, that power comes first, but then again, so does aesthetic looks and wearability. 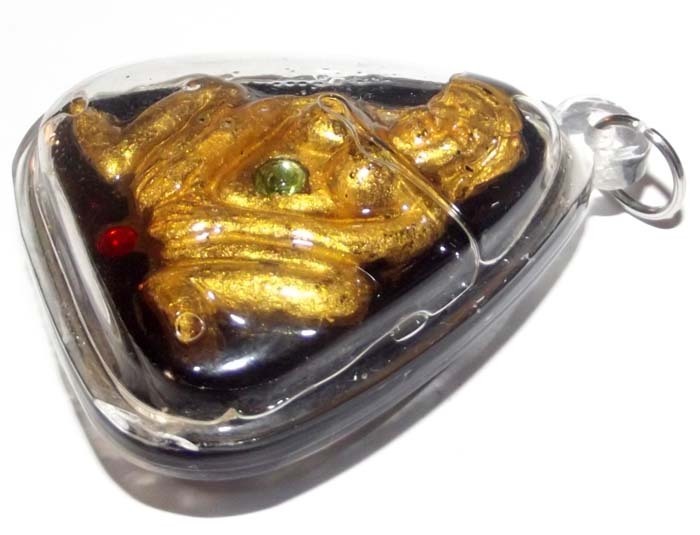 It is also true that when the devotee is inspired by the beauty of an amulet, then his or her faith is strengthened, and the miracle powers of the amulet will have more channels and openings to perform its miracles through the faith of the devotee. 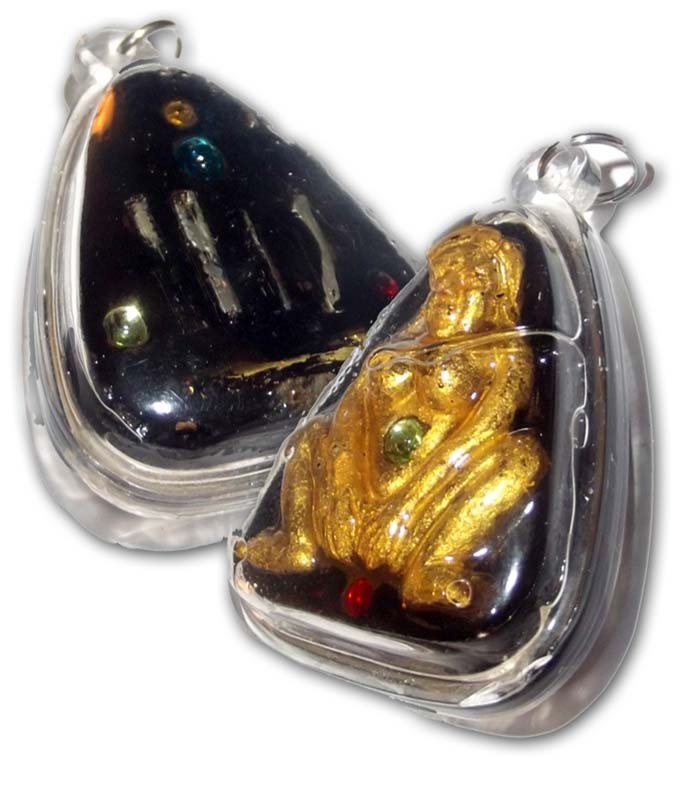 The mae bper is made from sacred prai ghost bone powders, herbal maha sanaeh powders, and has individually blessed and empowered the ploi sek (‘semi-precious gems’), which have powers of maha pokasap (‘great treasures and possessions, collateral). 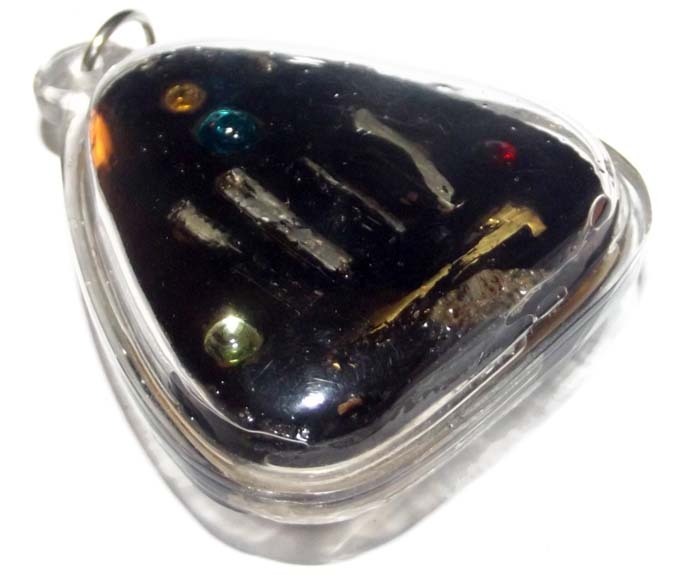 The two gems in the front and the four in the rear face provide six wealthy spells of prosperity. Five takrut maha sanaeh and maha lap provide gambling fortunes, sensual attraction power, charming speech, and convincing dominion over the minds of others (especially romantic partners).